That’s the sound of a Meat Slam! 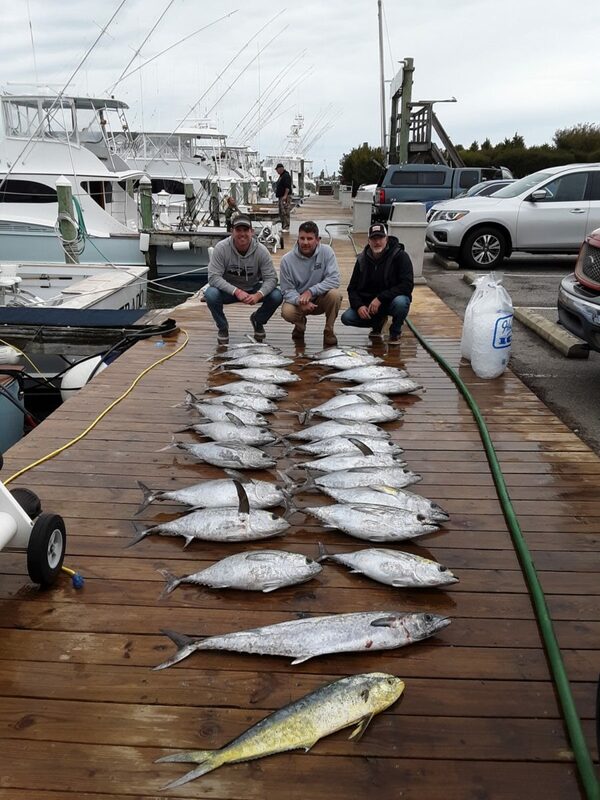 While the story really was the Blackfin bite offshore today, one boat managed to bring back a Meat Slam of Blackfin, Dolphin, and Wahoo. Tasty! 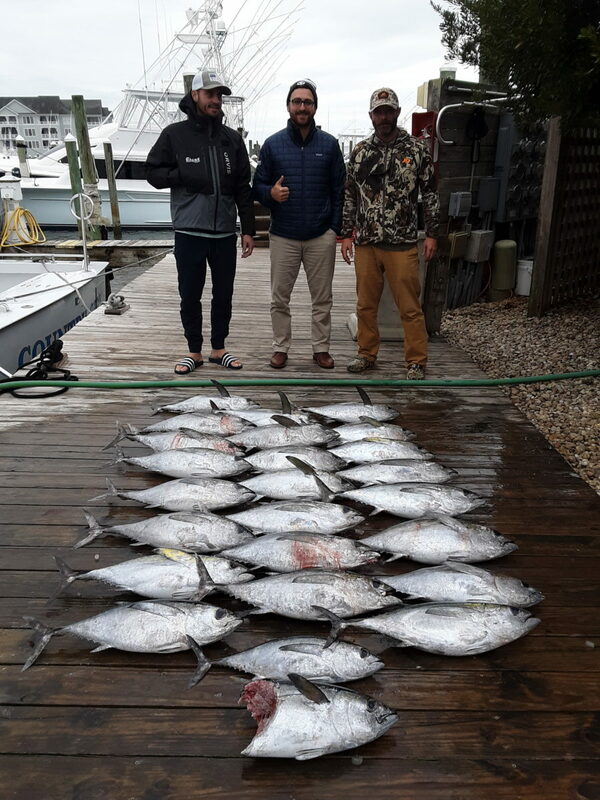 The weather was not great, but several boats went out and returned with a great Blackfin bite. 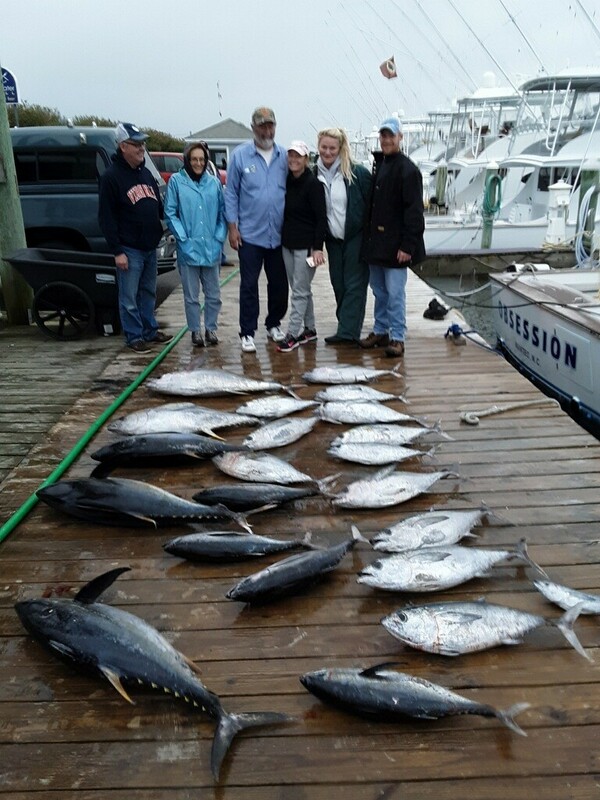 Finally, the last boat in had a good mix of Blackfin AND Yellowfin! Is that a Tuna Slam? They will be filling their freezers tonight for sure! A weather system will be brushing by us, bringing rain and wind over the next day or two. All should be well by the beginning of the week though. Fall fishing has been great so far! Want to get in on the action? Give us a call at (252)473-3906 or book online. We’d love to help you hook up with the right charter!